Husband of Arianna Pflederer who is seen alongside his wife on the YouTube channel thepflederers. The most watched video on their channel by a longshot was their wedding video titled "Bride Sings Down the Aisle." He and Arianna began posting to YouTube in August of 2013, starting with the aforementioned wedding video. Living in Illinois, the family grew up with dogs named Levi and Daisy. He and Arianna married on July 12, 2013. They have daughters named Revelynne, Airlee and Rensly. 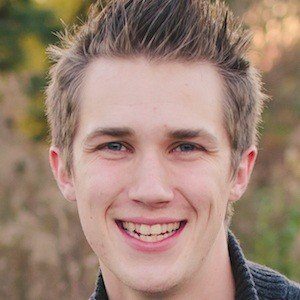 He is the patriarch of a family-oriented vlogging channel like Bryan Lanning.